The Isle of Skye Baking Company is an artisan bakery business based on the Isle of Skye. The enterprise comprises a bakery, two food shops with seats, and an art gallery. 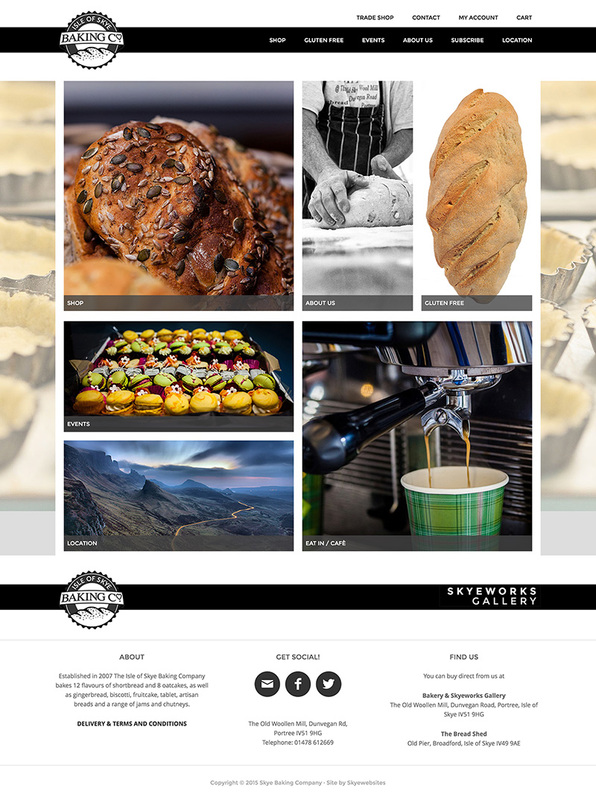 In late 2014 Liza Hawthorne, Director of The Isle of Skye Baking Company approached Skyewebsites to design and produce a new website including e-commerce and trade functionality using a pre-established logo. We wanted to make best use of some fabulous food images and photographs of the location, people and process that distinguishes artisan baking from mass-produced production. If you are wanting to create a beautiful looking website that properly represents your creative or artisan business, or maybe extend your sales channels through selling your products and services online – schedule a free consultation to talk through your business ideas.